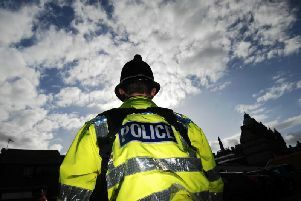 A 20-year-old man has appeared before Burnley magistrates, accused of two assaults in the town on one day. Bradley Terence Watson is alleged to have hit Nicholas Thompson in the face with either a glass or bottle, causing a "nasty" cut. Watson, of Melrose Avenue, Burnley, is accused of wounding with intent to do grievous bodily harm. He also faces an allegation of common assault, against a young woman. Both alleged offences are said to have occurred on April 2nd. The defendant will have his case heard at the crown court and will face a pre-trial preparation hearing on October 15th.